A surprise arrived for me at work today. These buttercream frosted cookies are seriously the best thing ever. I made it disappear into my stomach in about 60 seconds flat. I even wrote a poem-like serenade to it after -- something about the cookie being like a light, delicate puff of air melting on your tongue and then gone -- but luckily for you I didn't save it, so I can't recite the whole thing here. But what was better than getting a cookie was the fact that Moriya sent it to me out of the blue, just because she's a good friend. 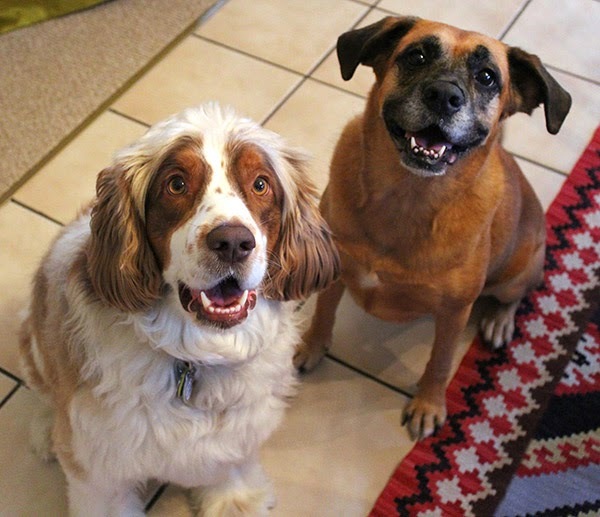 AND what was EVEN BETTER is that she got a cookie delivered from me yesterday, which means that at about the same time last week it occurred to both of us to send each other a cookie. That's friendship, guys. I sent her one (late) for her birthday and she just sent one because she wanted to, so she wins the thoughtfulness count on a couple points, but still. Friendship. As such moments often do, this event inspired us to write a card. 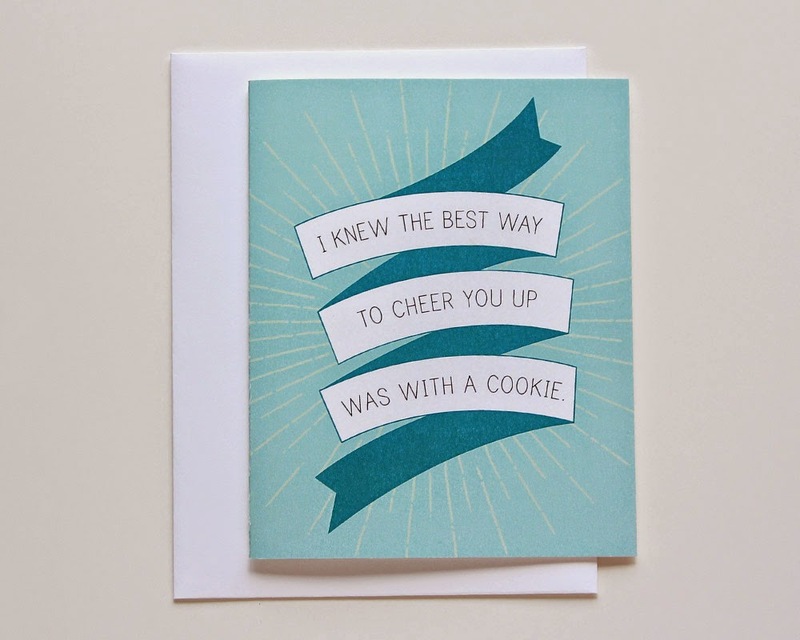 I won't give away the whole thing before the card is actually designed, but the outside is going to say, "I knew the best way to cheer you up was with a cookie." It's the truth. There be quite the fearsome power inside a cookie. I'm not sure why I felt like I had to say that like a pirate, but there you have it. 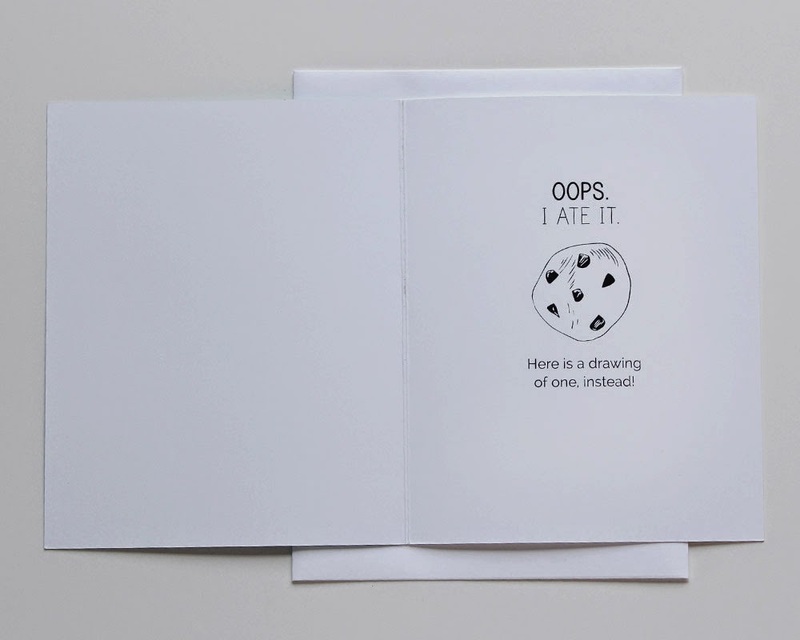 Here's our cookie card, fresh from the oven (har) and available on our Etsy store! You can't eat it, but I guess at least it's less calories that way?